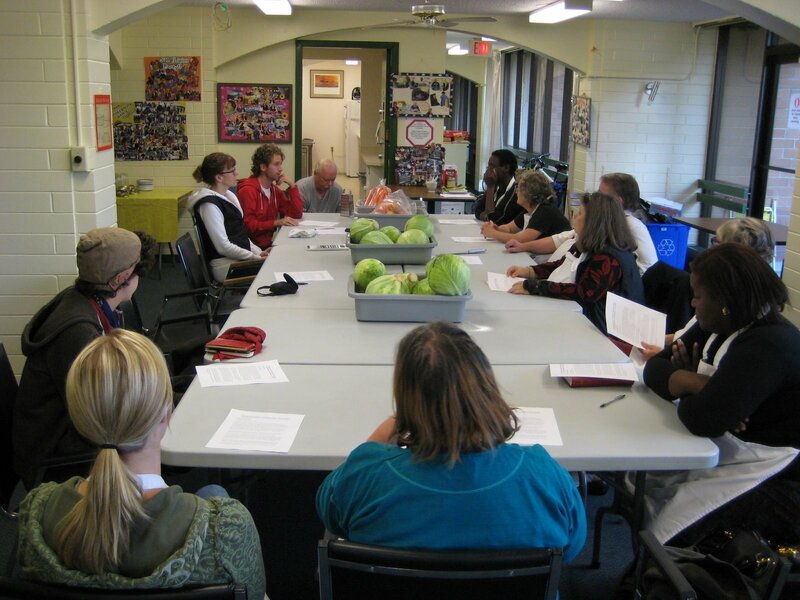 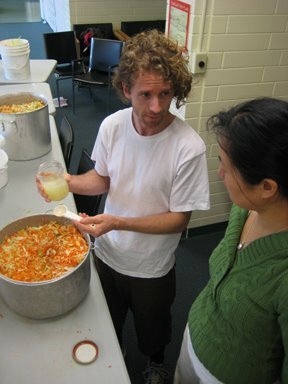 >Our second fermentation canning workshop learning to make sauerkraut was a wild success. 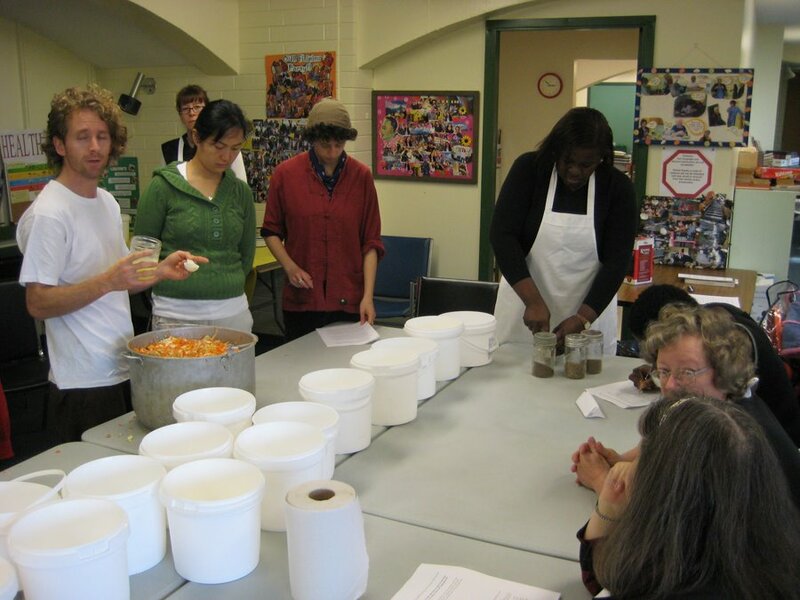 Held at Grandview Terrace, a BC Housing site, 12 participants joined in, some from Grandview Terrace and a few from around the community. 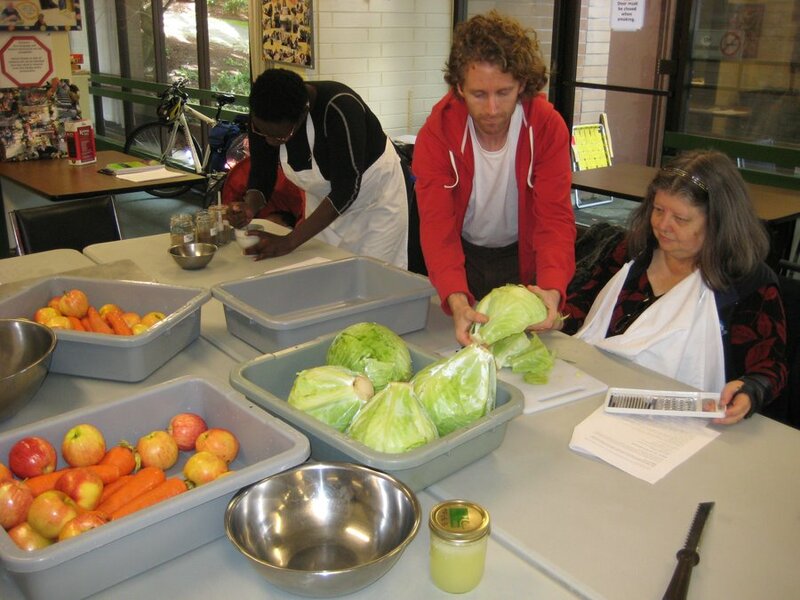 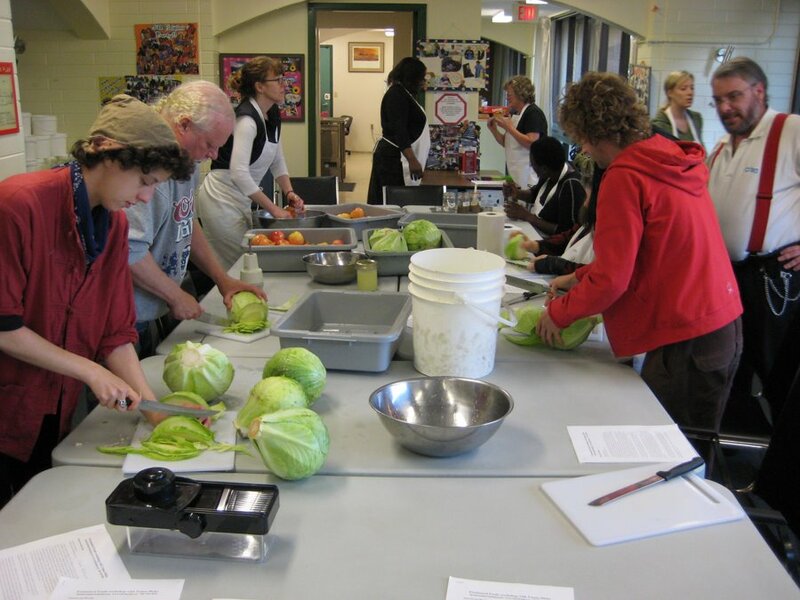 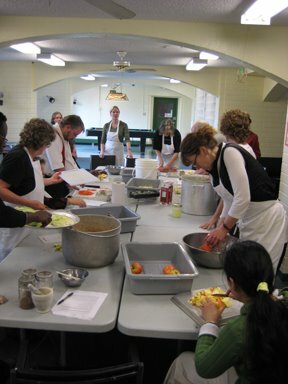 In this workshop we made sauerkraut and added in carrots and apples. 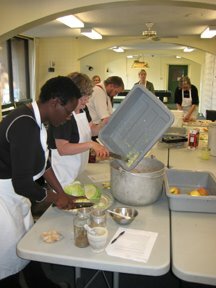 We made two separate batches, one with a salt brine and another using a herb seed brine, including dill, caraway, and celery seed for those people who may not want salt in their food.